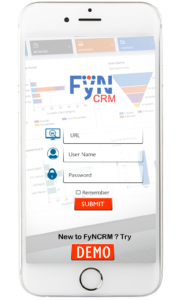 In the video below, you will find the Features and functionalities of FynCRM mobile app. FyNCRM helps small and mid-sized businesses increase sales productivity and maximize profits. Your data on the Go! Simply Login by entering the URL with your Username and Password and access FyNCRM on mobile, smartphones and tablets. If you have setup SuiteCRM Installation the for the mobile app you can click login to use your CRM and If you want to use our demo CRM click the demo login. Follow next steps below as per SuiteCRM Mobile App User Guide. 1. list text hereActivity screen displays all your recent activities. 2. On the top right of the dashboard, just tap on the icon to create leads quickly and easily. 3. 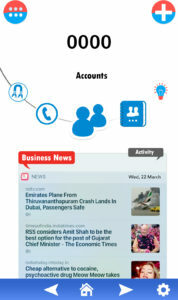 Users can also read the latest business news related to CRM. 4. On the top left of the dashboard, tap on the icon to view all important modules of FyNCRM such as Accounts, Calls, Leads, Contacts, Opportunities and Cases etc. "Great for teams on the go that have to rely on mobile first apps instead of traditional software."